Is it shorts weather where you are? Some days here it is, some days not so much. But since a lot of my shorts from last Summer are too big now, I’m on the hunt for some new pairs! And I know what I like- a high rise and a longer inseam (at least 3 inches but preferably 4!). 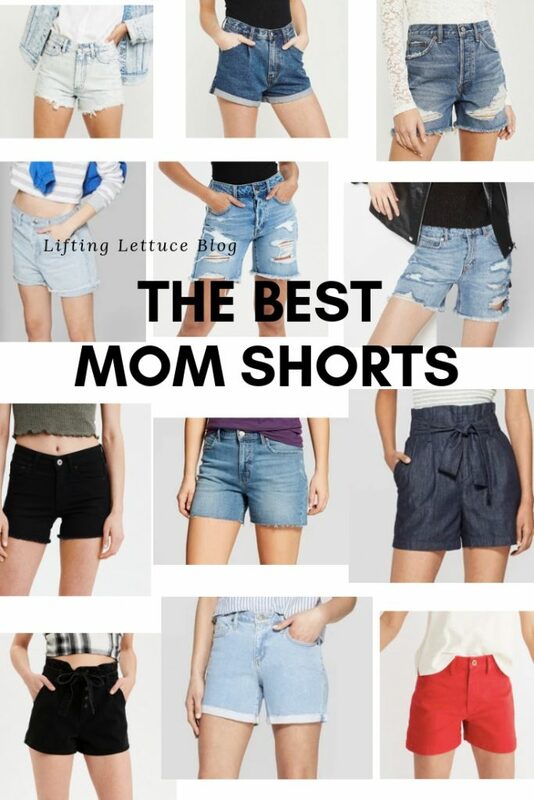 So I’ve been scouring the internet for the BEST “mom shorts” and now I’m going to show you what I’ve found! No low rise booty shorts in this round up (although if that’s your thing, that is totally okay!). 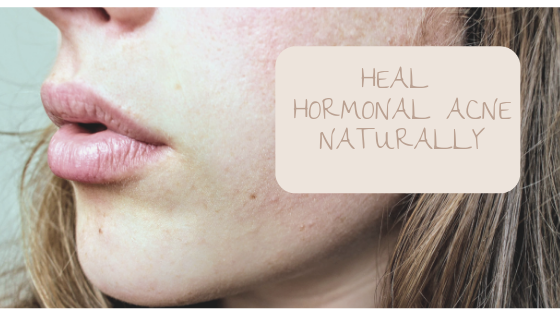 Oh and in case you’re wondering why a holistic wellness coach is even talking about clothes… I really do believe that what we wear affects how we feel (and I’m all about dem feelings). The more comfortable I feel in my body, the more confident I feel in my clothes. Plus style is such a great way to express ourselves! I definitely feel that it is attached to our overall well being. I know when I feel good about my appearance, I show up as a better version of myself. These have been getting great reviews! I think because I’m so tall I’d prefer the longer length ones. I hear they are a great alternative to the $128 Agolde pairs! This store only carries two pairs of shorts and the denim ones aren’t high rise but these are. They come in four colours. If you’re looking for something well made from an ethical, sustainable company than these are a great choice! I recently ordered these and am hoping they fit- I haven’t had any luck with their pants fitting me. 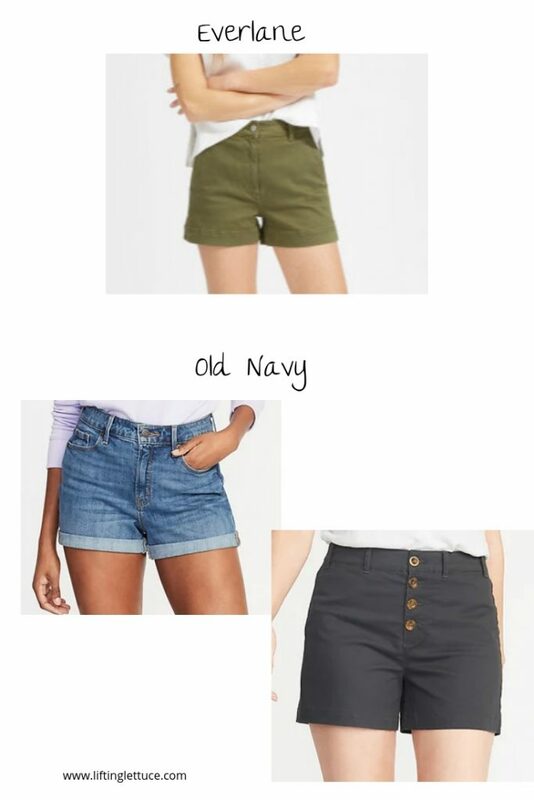 Old Navy has started adding some high rise shorts options! I prefer my shorts uncuffed but still included some cuffed options. How cute are the button ones though?? They come in a bunch of colours! 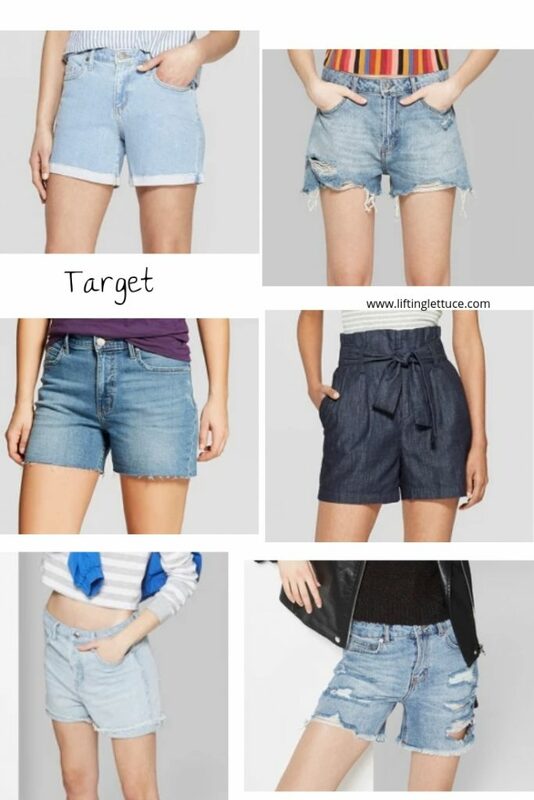 I’ve actually never tried on any Madewell jeans or shorts but I hear the sizing can be odd. Still, all of these look great! Nice high rise and longer lengths in classic styles you could wear for years. I couldn’t NOT include Target and their new line Wild Fable has quite a few “mom short” options as do some of their other lines. I’m hoping to get to our local store to try some on soon- I’ve heard Wild Fable tends to run big. I have Universal Thread jeans that I love. 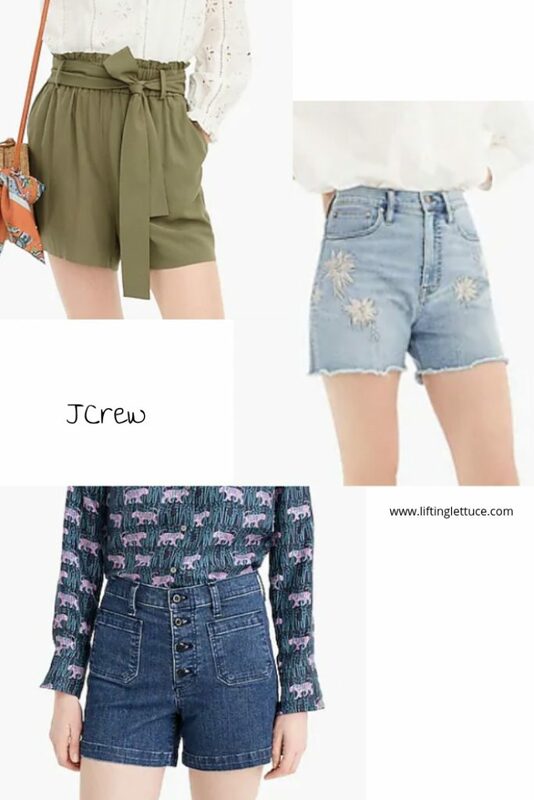 Jcrew has some great options. 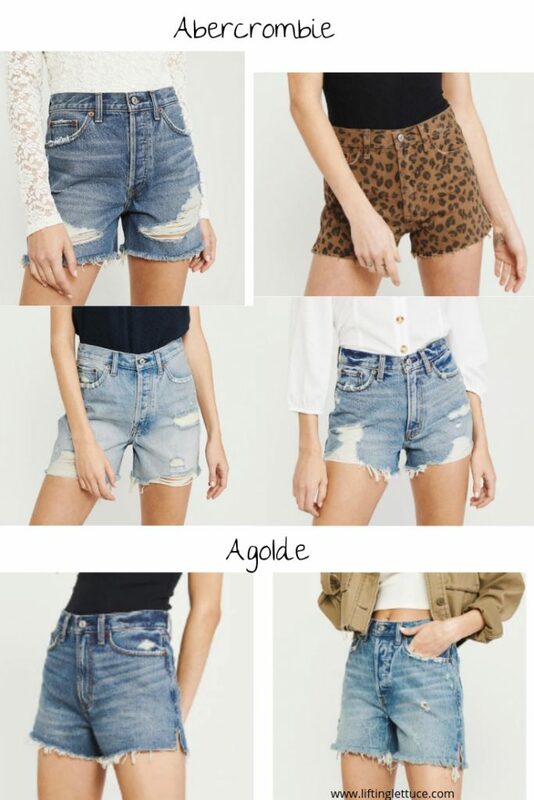 I included a few paperbag shorts in this round up because I feel like they are so mom-friendly! If you don’t like having shorts tight on your midsection, these can be a great option. 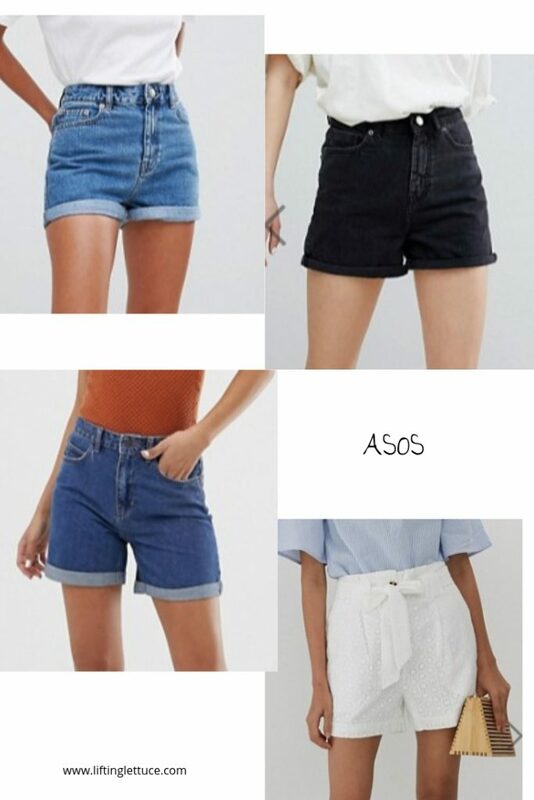 I knew ASOS would have some great options! Great if you don’t want a real stretchy fabric. These have a retro vibe. This has quickly become one of my go to stores! I’ve bought their shorts in the past and currently have the Camp Shorts which I love (so soft!). They regularly go on sale too. Oh and I know some of these look super short but the cuff isn’t sewn down so you can just unroll it! Also if you prefer a tighter fitting short, they have some good options for that. 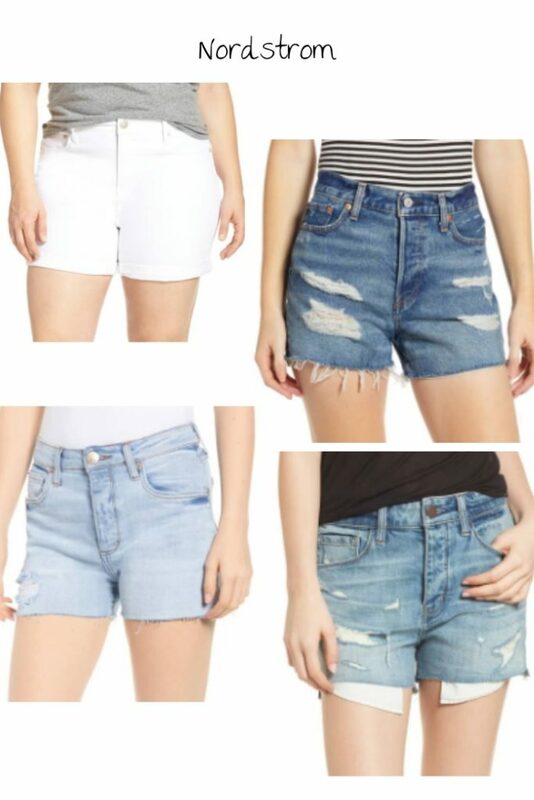 Levi’s makes some great classic cut offs! 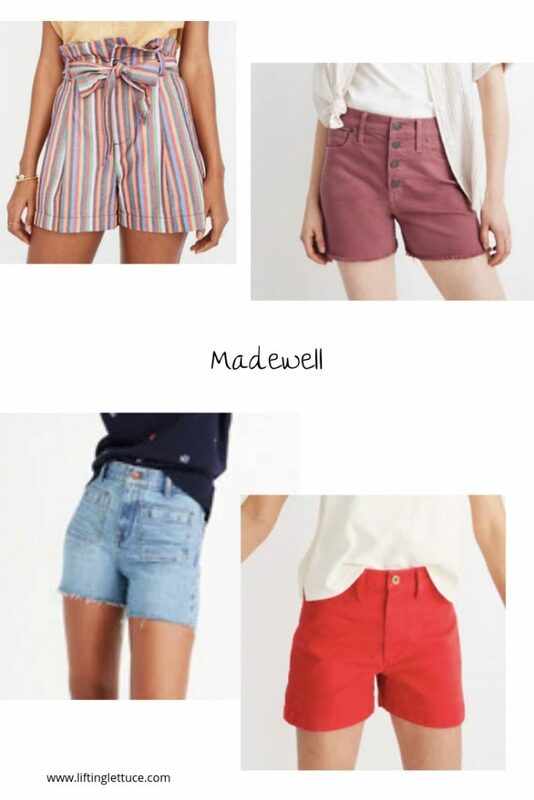 Nordstrom carries Madewell too just FYI. I’m kicking myself for not ordering the Treasure & Bond ones last Fall when they were marked way down!